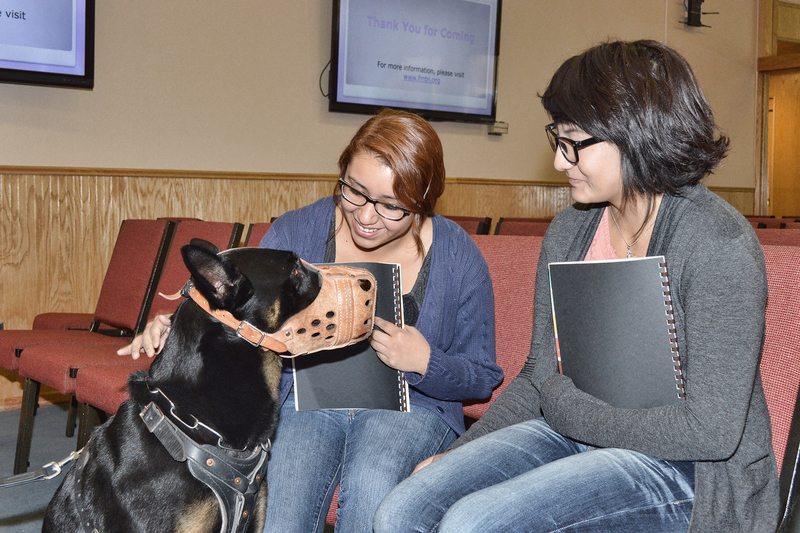 Officers with the Farmington Police Department’s K9 Unit recently spoke with a group of Kirtland Central High School students about how police service dogs are utilized in law enforcement. 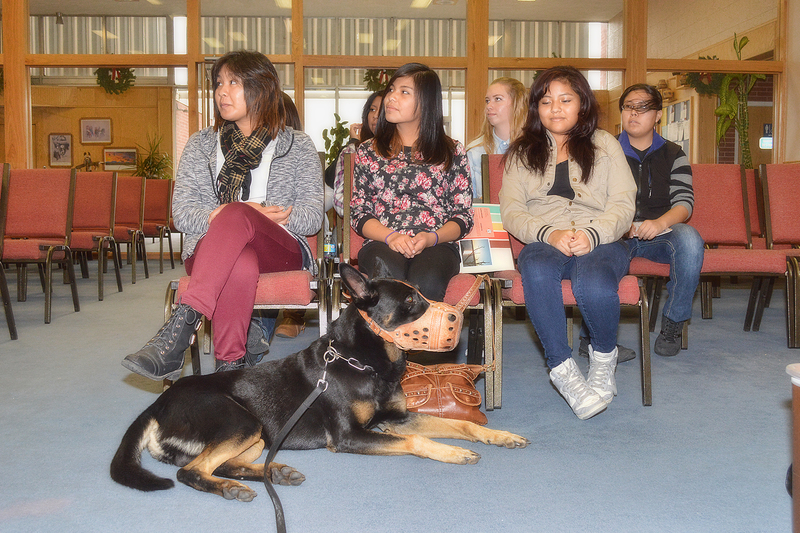 The presentation took place on Thursday, December 4 during a class field trip to the City of Farmington. Officer Wood was present with his PSD Cas, a Belgian Malinois. Cas recently helped officers locate the suspect of a shooting that occurred on November 25. Officer Ronk was also present and emphasized the importance of the K9 Unit’s role in reducing the number of man hours spent on calls and increasing officer safety. An estimated 800 to 1,000 man hours are saved annually by using K9 teams. The teams respond to a variety of calls including, building searches related to alarms or reports of forced entry, narcotics, violent calls, and fleeing subjects. Officer Ronk explained how PSDs are not only used to help locate suspects but are also used to help find missing children and adults who may be in danger. In addition, K9 teams may be used to assist other tactical units such as SWAT, the Gang Task Force, and the Region II Narcotics Task Force. At least one K-9 is on call at all times. 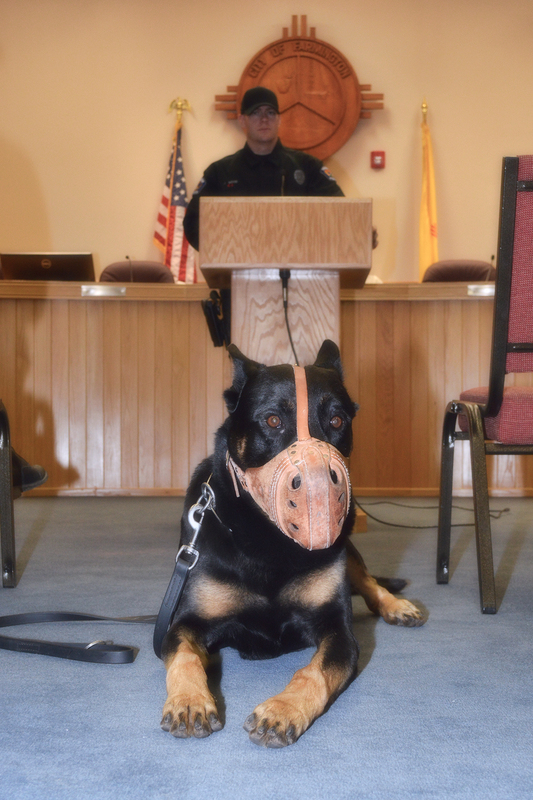 During Thursday’s presentation, students asked the officers various questions including how often the K9s train and where the dogs reside. 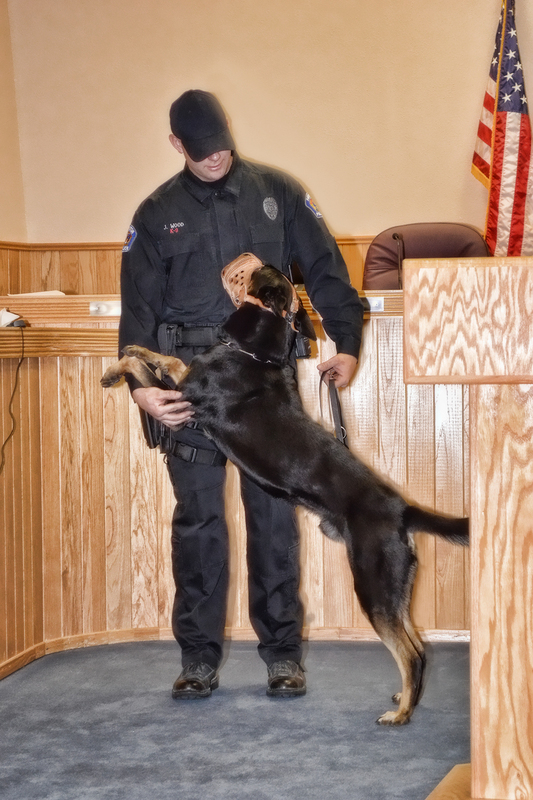 The specialized nature of the K-9 Unit requires handlers to train a minimum of four hours a week as a group in addition to the daily training each dog handler team conducts. PSD dogs reside with their handlers. 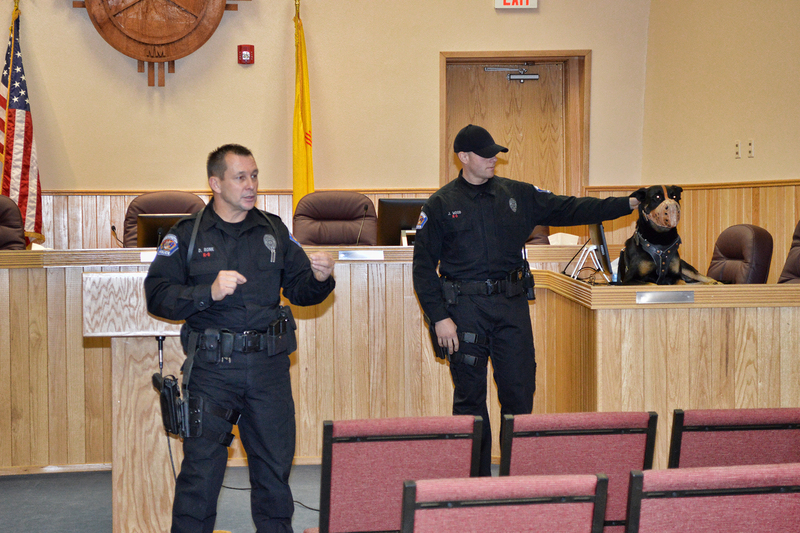 If you would like FPD’s K9 unit to visit your school for a demonstration, please contact the Farmington Police Department’s Community Relations Division at (505) 566-2344. I have the deepest respect for these officers and their PSDs……I’m not a teacher but would love to see and hear about this as well! Thanks and God Bless them!! !